Jean-Pierre Jeunet's cinematic knack for balancing the tender with the twisted, the sweet with the sour, and the dreamy with the disturbing began a full decade before he became an international sensation with 2001's whimsically offbeat French confection Amelie. 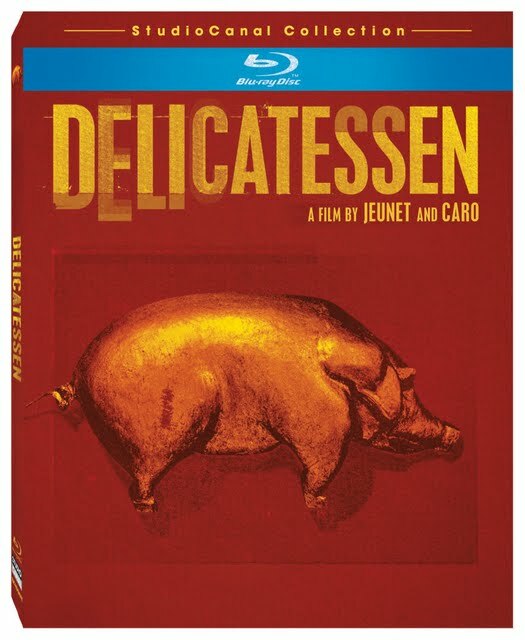 Of course, much like his '95 nightmarish fairy tale fantasy The City of Lost Children, Jeunet's debut outing Delicatessen upon which he collaborated alongside Marc Caro strays into far riskier terrain than Amelie ever did considering Delicatessen's post apocalyptic setting where cannibalism has become a way of life. Yet despite the fact that it's far more eccentrically macabre and daringly sinister than Amelie, even given the latter's embrace of the absurdity and flirtation with the dark side which creeps into some of Amelie's most lighthearted moments, you can still sense the same creative mindset right from the very beginning. Both films introduce us to a community of zany characters all living under one roof and both works seem like they've been elaborately planned to such an extent that they're like live action versions of cartoons. This is particularly evident in Jeunet and Caro's stunning use of art direction as well as their impeccable timing of edits so much so that I first saw Delicatessen's mind-bogglingly inventive “squeaky spring” sequence before I ever saw the movie as a whole by analyzing and appreciating the technical precision back in film school and before I even became aware that the very same clip comprised the entire American theatrical trailer. Yet while I can admire the artistry as well as the sheer amount of work that went into Delicatessen and surprisingly find enough about the set-up of nearly the first half of the film to distract me from what in anyone else's hands could've been an appallingly gory work, ultimately the storyline unravels completely in a classic case of style versus substance. However, much like Tim Burton, Wes Anderson, and Baz Luhrman, Jean-Pierre Jeunet is an auteur for an acquired taste and Delicatessen is appetizing for film students as well as those who adore Amelie since when viewed in quick succession, echoing elements and identifiable ingredients can be found from start to finish. And while in the end the film works better from an artistic rather than an empathetic standpoint, Lionsgate's high definition release which comes complete with the inclusion of a scholarly essay booklet and special features contained in an impressive Blu-ray transfer as part of the company's new line of StudioCanal Collections, is sure to appeal to those who lust after Criterion discs.